All our partner sites are independently reviewed by our team of industry experts. We examine 10 different criteria and award a score out of 10 for each, adding up to a final mark out of 100. You can read a full description of our Betsafe Casino review process here. Betsafe Casino received a score of 80/100. Betsafe may have been around for over 10 years already, but the site certainly isn’t slacking on star quality. 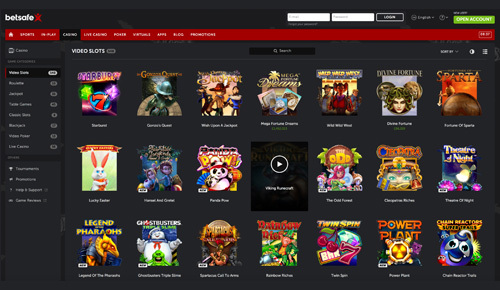 It still presents gamers with a modern and genuinely welcoming platform to play at. There are some fantastic graphics on display, which provide members with a slick and crisp layout. Over the years, Betsafe has kept up with the ever-changing and adapting online casino world. This has made sure that it stays relevant in the minds of loyal players as well as newcomers. And it’s not only basic casino games that this platform provides. As a member, you also get to access a live casino option, poker, virtual games and sports betting offerings. And this is another reason why Betsafe manages to appeal to many gamers. 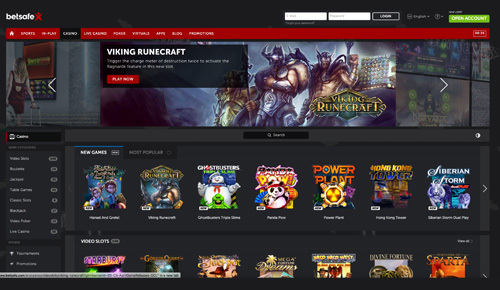 The range of gaming options that the brand offers up to players is very expansive. Of course, this can only be expected when you know that the operator of the platform is BML Group. This is the same company that is responsible for online sites like Betsson, Mr Smith and several more. An online casino that has already had such a lengthy run in the industry should have the knowledge to offer up a great welcome offer to newcomers. Of course, this is certainly true for Betsafe, where you’re able to claim up to £1,000 in bonus money. However, it doesn’t end there, because you will also have the chance to utilise some Free Spins as well! The bonus funds aren’t all given in one go though, and instead are split across your first three deposits. The same can be said about the Free Spins as well. Therefore, you’re getting something a little bit extra across all three of your initial deposits at Betsafe. The first procedure you’ll need to complete is the registration process. This only takes a couple of minutes to go through, and then you can make your first deposit. On top of this deposit, you will be given a bonus of 100%, which has a maximum value of £250. 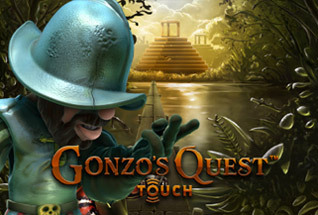 Alongside this, you will get 10 BIG Spins to use on the Netent game Gonzo’s Quest. 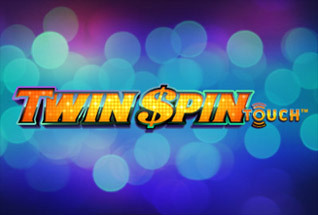 BIG spins are worth £1 each! Then, when you make your second deposit, you will receive a further 50% bonus up to £250. 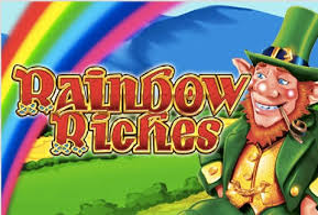 This time, you will get 25 standard freespins on the same slot. Freespins are worth £0.20 per round. Finally, on your third deposit, you will receive a 100% bonus up to £500. And on top of this, you will receive a further 25 BIG spins! Of course, all promotions come with important terms and conditions that you should be aware of. The welcome package is only available to new players who make an initial deposit of £10 or more. Not only that, but the offer does expire 30 days after registration, so make sure that you claim it all as soon as possible! 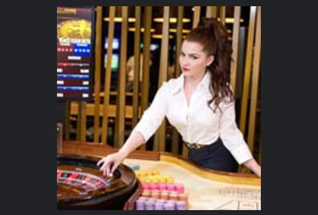 The bonuses and freespins are not available to players who opt to deposit via Skrill or NETeller. There are also certain games which will not contribute towards the bonus wagering requirements. These are: Aliens, Big Bang, Bloodsuckers, Castle Builder, Castle Builder 2, Dead or Alive, The Wish Master, Tower Quest, Eye of the Kraken, EggOMatic, Pearls of India, Scrooge, Champion of the Track, Devil’s Delight, 1429 Uncharted Seas, Super Monopoly Money, Wild Gambler, Kings of Chicago, Robin Hood, Zombies. One final thing to make note of, is in relation to the freespins and BIG spins. Players cannot bet more than £6 of the initially awarded bonus amount in a single bet or game round on any of the casino games for the duration of the bonus wagering. Freespins and BIG spins must be wagered a minimum of 35 times within three days of you receiving them. Players from Ecuador, Nicaragua and Panama cannot receive the freespins or BIG spins. It stands to reason that a platform that has been around for over 10 years is at the pinnacle of gaming quality and quantity. This is definitely true of the Betsafe site. Whenever you visit the game lobby, you'll see the navigation menu down the left hand side. There are many different categories of games for you to access. 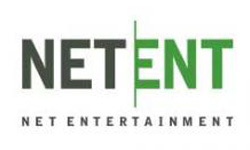 The slots section provides the majority of games, with titles on offer from developers like Netent, Play'n Go, Thunderkick and Microgaming, to name a few. 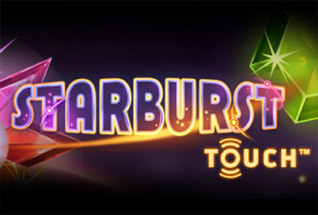 Therefore, you'll have the chance to play through games like Starburst, Beehive Bedlam, Secret Romance and Hot as Hades. In total, there are over 540 different slot games for you to enjoy at Betsafe. Over 30 different progressive jackpot games are also on hand, such as Hall of Gods and Major Millions. 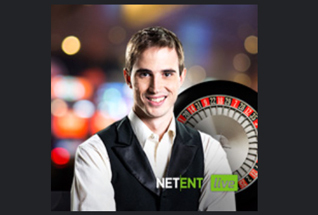 Many online casinos now include live dealer versions of table games. However, at Betsafe, you'll get to experience one of the most expansive. There are over 50 different Live Casino offerings, 32 of which are present in the form of blackjack. These include options such as Live Common Draw Blackjack and Live Blackjack VIP. 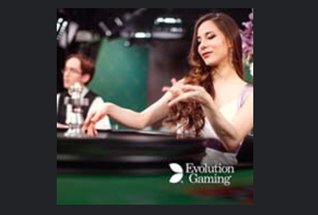 It is Evolution Gaming that provide the majority of live dealer games to Betsafe. And because this developer specialises in such games, you can only expect the best. So, whether it's roulette, blackjack, baccarat or poker, Betsafe is able to offer all to you! It's not only newcomers who have the chance to claim rewards. Regular players also have a strong selection of promotions to receive. Make sure that you keep an eye on the 'Promotions' page, because this goes through updates on a regular enough basis. There, you will see all of the latest special offers. Those gamers who prefer playing in the live casino setting can also claim a £20 bonus on top of a £20 deposit. This one is only available for using on Live Roulette or Live Blackjack. And as well as this, there's a different Live Casino offer for every single day of the week. Another great perk of playing at Betsafe, is the fact that there are plenty of tournaments to join as well. And as is the case with the promotions in general, these change on a monthly basis. This ensures that you have the chance to join many alternating tournaments. There are several different deposit and withdrawal methods for you to utilise at Betsafe. These include options such as Visa, MasterCard and PaySafeCard. Of course, we made mention of the two eWallets in Skrill and NETeller previously, while bank transfers are also possible. You're only able to withdraw a maximum amount of £50,000 in a 24 hour period and all withdrawals need to be done via the same payment method that you used to deposit. As we said previously, Betsafe is still a very modern platform, bringing many years of experience to the table. And not only is it accessible via a desktop computer, but via smartphones and tablets as well. Therefore, mobile gamers are thoroughly catered to. 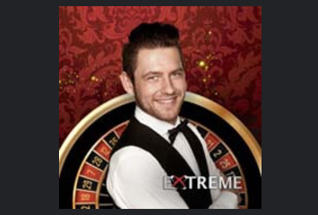 The game lobby is probably the best part of the casino's website design. The menu down the left hand side makes things very easy to navigate through. And there are even links to the promotions and current tournaments there. Players are able to access games at this casino via download or instant play, as well as mobile devices. Betsafe holds two licences to ensure fair gaming and security to its players. These are from the Malta Gaming Authority and the UK Gambling Commission.